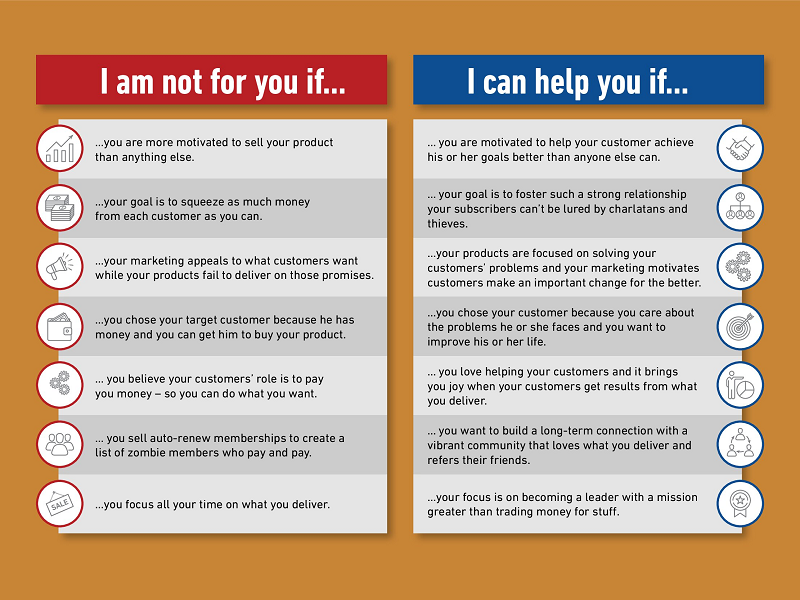 Why are you offering subscriptions to your customers? What is your subscription program for? Did you start a subscription program because it was the best way to serve your members? Or did you hear that a subscription is a great way to make money, and you want to pursue 2019’s version of the Gold Rush of 1849? When James W. Marshall discovered gold at Sutter’s Mill in Coloma, California, on Jan. 24, 1848, the news attracted more than 300,000 people to California from the rest of the United States and abroad. The promise of easy wealth was as powerful then as it is today. Rather than searching for nuggets of gold, today’s prospectors are seeking ever-increasing recurring revenue deposited into their checking account by automated software each month and a big valuation when it’s time to exit their company. Both of these are proven to be a real and possible outcome of launching a subscription membership program. But they are also bait in a trap. Even though the Gold Rush of 1848 is well known, few of the 300,000 hopeful prospectors ever struck it rich. It turns out that the realities of mining for gold are a lot harder than the get-rich promises let on. In fact, the people who got rich during the Gold Rush had businesses that sold equipment, maps, and supplies to the hoards pursuing easy wealth. There’s a lot of money in selling promises of easy money. Have you noticed how many of the people selling the idea of subscription and membership growth are offering tools related to the business model? These are the loudest proponents of the subscription model. They make it sound so easy: Start a subscription to generate recurring revenue forever. Aug. 30. 2018, marked 25 years I’ve been in the subscription membership business. It is a powerful model, and I highly recommend it. But the promises of easy money are overblown. And these promises have created a gold rush of prospectors purchasing all sorts of tools so they can embark on a business model they know little about. While I love the subscription membership business, most people who have launched subscription businesses over the last five years would have been better served by pursuing some other model. There’s a trap in this business model none of the subscription membership cheerleaders talk about: Most subscription businesses quickly reach a plateau where member acquisition cost becomes so high they stop growing. When caught in the trap, your first instinct is to focus on new ways to acquire new members. But, it’s a Chinese handcuff; the more you struggle against it, the tighter its grip holds you. For solutions that will help you scale, look past your new member acquisition. Focus instead on increasing your member value, initial transaction size, 90-day customer value, and member retention rate. Two magical things happen when you focus on these measures. First, your member lifetime value increases, which allows you to spend more to acquire new members so you can finally attract more new members. Second, you start delivering a new member experience that generates a positive buzz, which makes all of your marketing more effective. With this approach, recurring subscription membership revenue can triple in months, plateaus can be broken through, and member engagement can grow into a vibrant tribe of members who can’t get enough of what you deliver. This is not for everyone. If it’s not for you, consider another business model more suited to your passion. If you decide that focusing on your member experience is for you, you are going to have a terrific year. I can’t wait to see what you build. You will achieve success in the membership subscription business, but more importantly, you’ll also experience joy. You are welcome to share your membership successes with me. I’ve been studying the art and science of membership my entire career, and I’d love to see what you created. Connect via email RS@RobertSkrob.com.